The “Song of Krsna” is a unique work by Srila Bhaktivinoda Thakura. This is a very diverse text, for its introduction describes the cultural legacy and history of India. The ten main chapters describes various aspects of Krsna Conscious philosophy and pastimes. 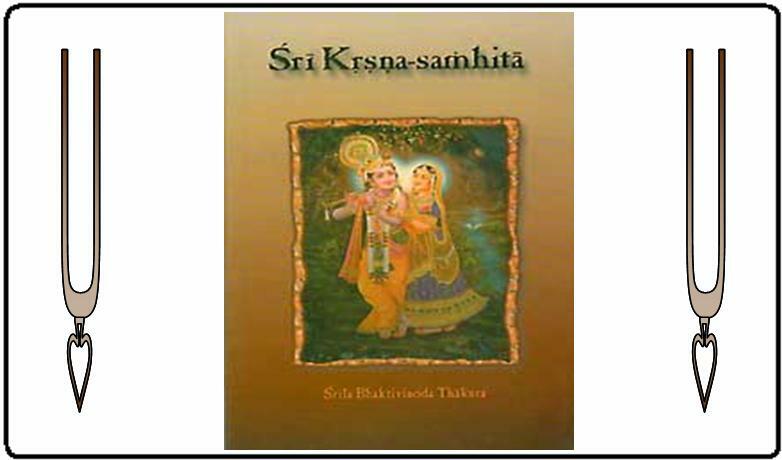 The first portions are descriptions of Vaikuntha (the Lord’s abode), His energies, His incarnations, and three chapters describing the pastimes of Sri Krsna. He follows those up with reflections of Krsna pastimes and the pure emotional feeling in the land of Vraja. He ends it when achievement of Sri Krsna’s lotus feet and characteristic of His associates who have reached His lotus feet. He included a conclusion written in English.